This DEATH CAB FOR CUTIE advertising poster is hard-to-find. 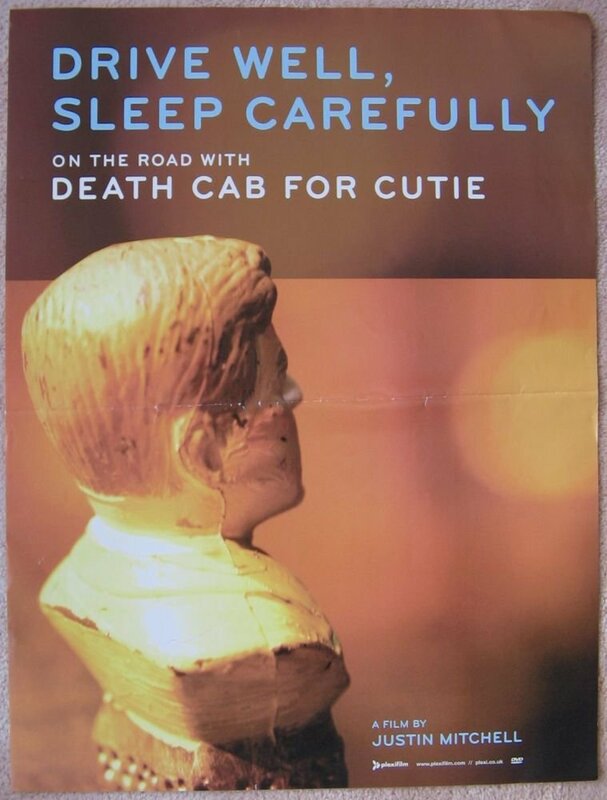 It was NOT available for retail sale, only being used in 2005 at music stores to promote their Drive Well, Sleep Carefully On the Road with Death Cab for Cutie DVD. Size is 24" by 18". Poster is in real nice condition for display, with some light surface creasing. It has been folded once horizontally. It will be shipped rolled in a sturdy tube.